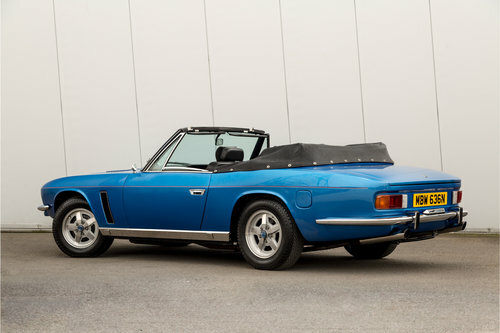 Peter Vardy Heritage showcase this 1975 Jenson Interceptor Convertible . 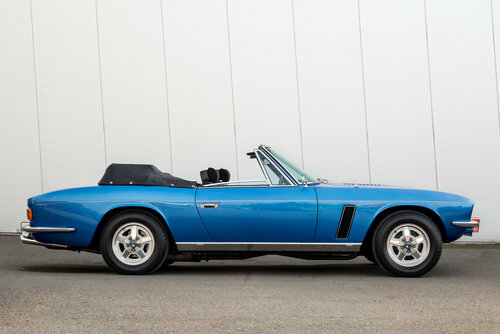 A total of only 509 were Convertible Interceptors were produced between 1966 and 1976. 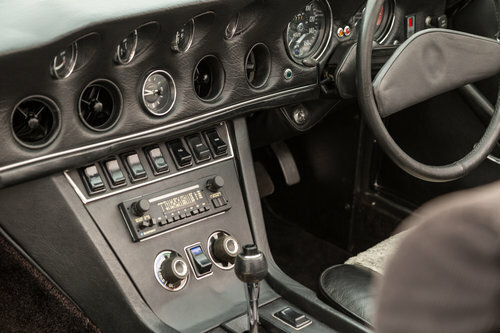 These cars were designed by Carrozzeria Touring with the bodies being made of steel and, in May 1972, the RHD models had increased their engine capacity to 7212cc. 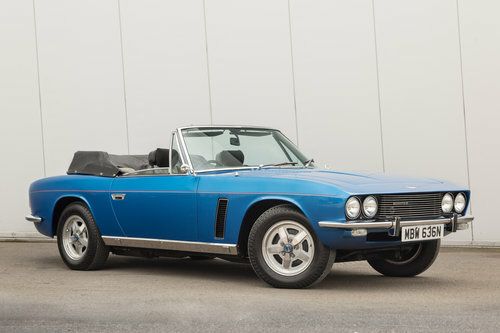 This Interceptor comes with an extensive history file that includes numerous invoices, receipts, old MOT certificates and it also includes the Jensen Interceptor handbook and Convertible supplement along with a workshop manual for the car. 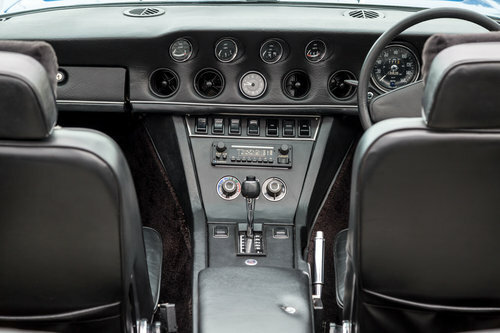 The indicated mileage of this gorgeous-looking Interceptor is just 25,000 - a plausible though unwarranted figure supported by the sheer quality of the interior, engine bay and underside of the car. The automatic gearbox and torque converter have been replaced in recent times, though just 4,000 miles have been covered in the last 16 years. 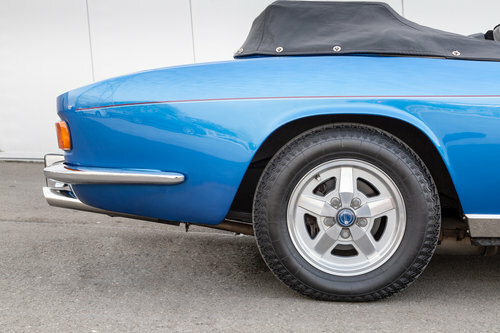 Finished in lustrous metallic blue, and trimmed in black leather, this lovely combination of British engineering and American muscle would surely grace any classic car collection and represents a fantastic 'blue chip' investment opportunity. 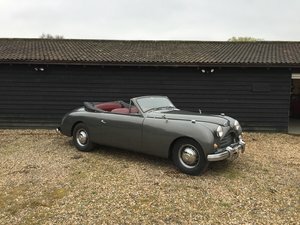 Please visit our website at: https://www.petervardy.com/heritage to view our current inventory, or call Steve Lister to discuss or request any additional information, further photographs or a video presentation on any vehicle. At Peter Vardy Heritage we have a passion for motor vehicles born out of an enduring history spanning more than 90 years, with the Vardy name being synonymous for excellence. We offer the finest selection of classic, modern day classic and performance vehicles from immaculately presented sales & workshop facilities. Warranty, Finance & Part Exchange all available, in addition, we can arrange delivery for you whether, national or international.